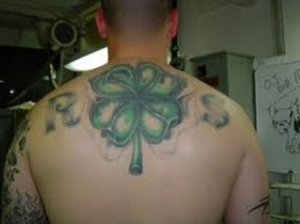 Who am I to say what a bad tattoo idea is or not.. to each their own, right? Not all the time. A beautiful, artistic, meaningful tattoo may also be a horrible idea if you do not consider whether or not you have a bad tattoo placement idea. 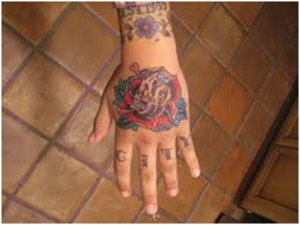 If you are shooting to get a good career in something or even just a regular job you will want to consider (or reconsider) the content of your tattoo, and especially the placement of the tattoo on your body. 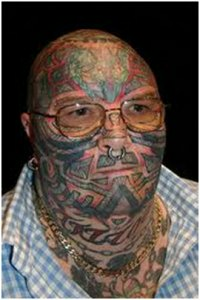 A lot of places do not accept individuals with visible tattoos, and if they do it has to be of a professional nature. Not of some naked person, or bloody thing, no animals doing nasty things together and so on.. You get what I mean. Now if you work at a tattoo shop or a store that is accepting of tattoos then you are definitely set. Just hope that you keep that job for the rest of the time you plan to work. Don't get me wrong I love art work just as much as the next person and do have plenty on me. I just try to keep mine where they can be hidden. I do have a half sleeve on my left fore arm and that some times creates a problem with places I go not only for the spot I have it but what I have only arm. I am either asked to wear long sleeves or to have a band aid on a certain spot of my tattoo and that just looks silly so I am forced to wear long sleeves a lot of the time and that is no fun in the summer believe me! 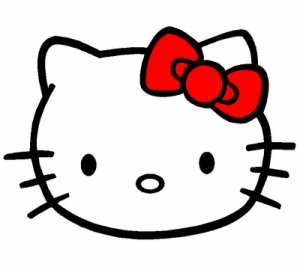 I am going to list a few spots on the body I would try to steer away from getting tattooed. The front and side of the neck. At least if you have longer hair the back of the neck can be covered. I have listed the most important spots that would be very bad spots for you to get a tattoo placed. 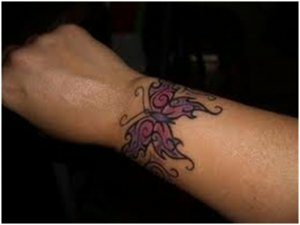 I will show you some images to go along with it as well just so that you can see the end result and maybe understand a little better why places do not want to hire people with visible ink. Like I said a lot of places are just way too close minded now a days just about every one has got a tattoo some place. Not a very good idea unless you plan to grow hair to cover that up. Also, remember the 'this is your brain on drugs' commercial? 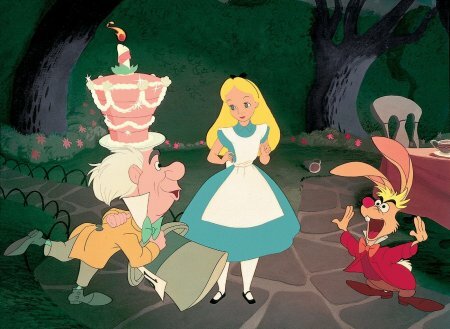 This kind of reminds me of that. 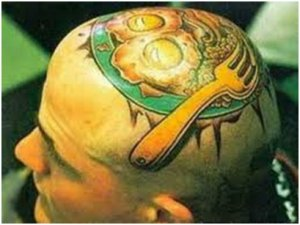 Yes, I could see many high powered executives with this kind of tattoo. Very beautiful work and creative but this man will never be able to find a good job. At the very least, he has certainly limited his employment possibilities, thanks to this tattoo. Game over? Mario and Luigi are great characters and I love the tribute to them. But are the Super Mario Brothers going to be able support your family? 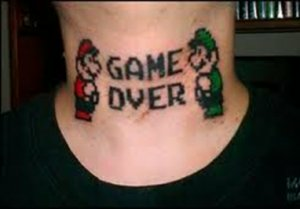 Because you will have a tough time finding a job to do it with this kind of throat tattoo! More than just the game may be over for you with this kind of work. 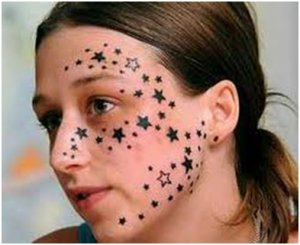 This is a cute face tattoo, but again not the smartest of choices. This is definitely a bad tattoo idea in terms of seeking gainful employment. 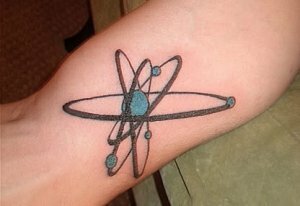 This tattoo may be just a bit too close to the wrist to cover. 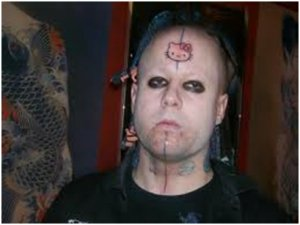 We don't take issue with these tattoos, we don't think they are bad tattoos, we just think these people are potentially creating future problems for themselves if they ever need to get a new job. That is what we mean when we say they are Bad Ideas for Tattoos. I've been thinking about getting a tattoo across my wrist in small script i figure it would be a bad idea considering if i need to cover it up i can just put make-up on it. 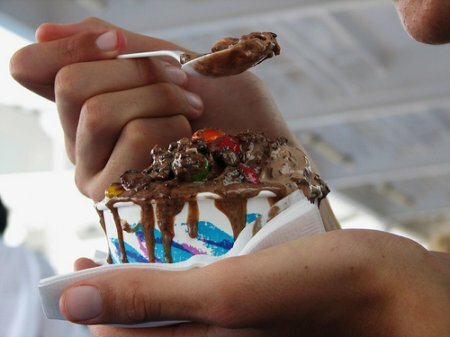 still a bad idea ? Share a link to a page on Bad Tattoo Ideas and we will consider it for placement on this page.